My Five Senses activities, crafts, lessons, games, and printables for preschool and kindergarten. Our five senses allow us to enjoy the world around us -- the taste of our food, the sound of music, the beauty of a sunrise, the softness of a cat's fur, and the fragrance of a rose. Children may recognize the importance of their senses, but they don't often focus on them individually. This month we have created and gathered a multitude of games, activities, arts and crafts, and resources to help your child learn about each of the five senses. Preschool and Kindergarten Friendship Crafts, Activities, Games, and Printables. Children celebrate the joys of making and having friends with our friendship theme. They engage in sharing and caring activities, games, songs, rhymes, literature, and snacks. The Plant Seeds of Friendship and Friendship Quilt activities are excellent starting points for discussions on friendship behaviors. My feelings and emotions preschool activities, games, lessons, and printables This month's theme explores two subjects close to children's health and well being: Feelings and Emotions. 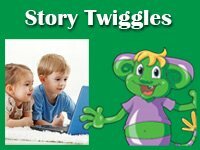 Children participate in literacy activities that help them build vocabulary and word recognition skills around topics that relate directly to their daily lives and experiences. Let your preschool and kindergarten children explore what it means to have feelings via movement, singing, drawing, writing, matching, talking, and listening. Health and Nutrition Craft and My Body Preschool and Kindergarten Activities and Lessons. Children will have fun learning how to stay healthy from head to toe with the Twiggles, Lily and EarTwiggle. Young children are very curious and love to learn about their body and the foods they eat. 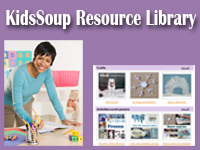 Our health and nutrition resources offer age-appropriate lesson ideas, book suggestions, movement activities, healthy recipes, crafts, and songs to reinforce the health and nutrition lessons being taught. Our lessons are designed to be integrated throughout the school year. Hands and Feet Preschool and Kindergarten Activities, Lessons, and Crafts. Welcome to the theme on hands and feet! Find songs, rhymes, literacy ideas, math activities, movement activities, recipes, and literature that celebrate the many ways hands and feet help move us through our days. Children can clap, snap, stomp, and jump their way to new knowledge as they learn about the concept of "pairs," count by 2's, label hand and foot parts, make their own books, read, write, sort, match, and of course, do the hokey-pokey and turn themselves about! All About Me preschool and kindergarten activities, crafts, games, and lesson plans. The theme, All About Me, provides children with the opportunity to answer the all-important question "Who Am I?" 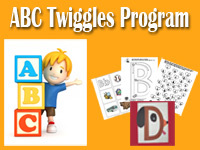 Many of the completed activities can be bound into books for each child when the theme comes to its conclusion. The following pages can be included: Self-Portrait, Facts About Me, My Opinions, Me Poem, My Hands Can, and Me Recipe. So, get out the pencils, crayons, music, and games and give each child a platform for showing the world his or her special self. Preschool and Kindergarten teeth and dental health activities, lessons, and games. February is Dental Health Month! The early years in a child's development are the best time for a child to learn about oral health and to develop a positive attitude about good dental habits. Talk to your children about why it is important to keep our teeth healthy. Explain that we need our teeth to chew food, speak, and have a healthy smile. A healthy mouth is part of a healthy body.